If you want to learn how to demolish your debt this year, then you’ve come to the right place. Click here for 15 effective ways to get out of debt. When you’re in debt it can seem like the end of the world. Credit cards, student loans and other balances pile on top of one another. Thankfully, it can be easier than you would think to get out of debt. Use these 15 tips to start getting your financial life back on track. The very first thing to do when trying to get out of debt is to figure out just how much money you owe. When you count credit cards, student loans, mortgages and car loans many people have only a vague idea of how large their debt is. Spend an hour or two adding up the balance of all your debts up. Just being able to definitively say how much money you owe is a big first step. Using a spreadsheet program like Microsoft Excel or Google Sheets is a great way to do this. They not only let you add up your debts, they make it easy to list them in order of interest rate, payment terms, and size of the balance. Knowing exactly how much you owe allows you to create a plan to get out of debt. Too many Americans have no idea where their money goes. Credit cards and mobile payment systems make it way too easy to spend money on everything. Spend a week or two recording all your transactions. This lets you see exactly where you spend too much and identifies places you can cut back. If you don’t trust yourself to do it accurately, there are lots of great apps that automatically track your spending and balances. Once you know how much you’re spending it becomes much easier to identify frivolous or unsustainable spending. Compare your income to your spending and set up a reasonable budget. Start with essential costs, housing, car payment, insurance and subtract that from your income. Add together all the payments on credit cards and other debt and then figure out how much more you can add. By setting everything out and putting a real figure to the money you can spend on food and entertainment it becomes easier to maintain progress. Emergencies happen and can quickly become very expensive. Even everyday emergencies like a broken down car or visit to the doctor. Start by setting aside whatever you can each pay period. $50 or $100 may not seem like much but over a few months, you can create a decent emergency fund of one or two thousand dollars. If credit cards are the only thing you have to fall back on, you’ll find it very difficult to get out of debt. Building a reasonable emergency fund is essential. If you spend more than you make you will always be in debt. Cutting back on your day to day spending is a great way to increase the money you have to pay down debt. Drinking and smoking are two of the most obvious habits to try and break. Frequently eating out, buying expensive coffee every morning or pursuing expensive hobbies can also drain your wallet. Start by identifying one thing you do often that you could reduce or eliminate. You’ll be surprised at how quickly you adjust to spending less. Whenever you can pay something more than the minimum payment on your debt. Credit cards especially are known for setting the minimum payment only slightly above the interest on your balance. The average American will spend almost twice as much as they actually owe if they only pay the minimum. By paying extra on your debt you reduce the principle and lower the total amount you pay. Yeah, yeah, this is a bit like telling a drowning man to just swim harder. No matter how obvious it may seem making more money without increasing spending is a great way to get out of debt. If you can’t increase your income at your current job think about a position at another company. If you like where you are now you could try getting a second, part-time job or start up a side-hustle. If you find yourself unable to pay off your debt quickly you can sometimes negotiate a lower interest rate with your credit card company. It costs you nothing to call them and they will often work with you. Be polite, tell them the truth about your situation and ask them if there’s anything they can do to help. From their perspective, it’s better to lose a little interest than have someone start to default on payments. If credit cards represent most of your debt a great way to lower the total cost is with a balance transfer. 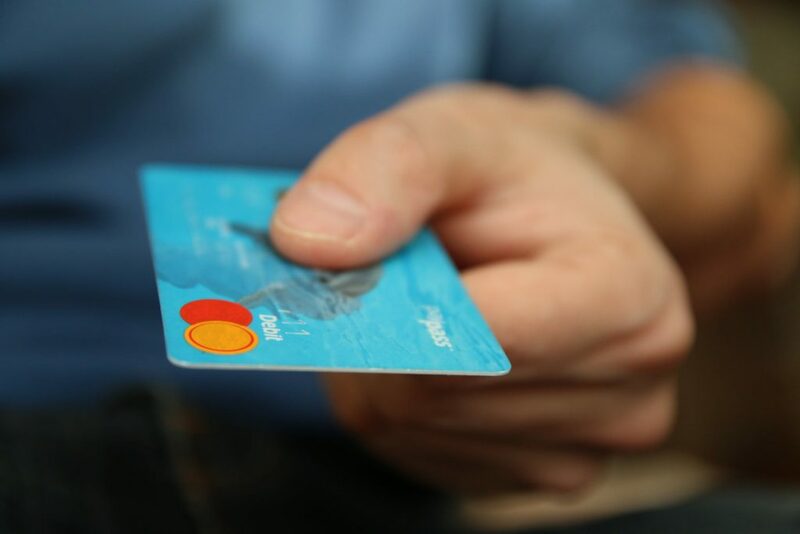 There are many credit cards with introductory offers including 0% interest balance transfers. This lets you move your high-interest debt to a no interest card and buys you more time to pay it off. Terms usually go from 12 to 24 month offer periods. Always make sure you can pay off the debt in that time period or you will find yourself paying even more interest. Everyone wants to be successful and for many letting other people know they are successful is a big part of it. The Great Recession saw millions of people in way too much house for their income, driving cars they couldn’t afford. Downsizing your living situation is one of the best ways to reduce debt. Selling your four-bedroom house when it’s just you and your spouse, getting rid of the expensive car, all of these are great ways to reduce your monthly expenses by hundreds of dollars. Once you get out of debt you can explore other interests and parts of yourself without worrying about debt. You can spend your life living rather than constantly worried about money. Every year at tax season millions of Americans fantasize about spending their refund. If you have debt, paying off a high-interest card or loan is one of the best ways you can spend it. Inheritances, bonuses, lottery winnings and other unexpected or unusual sources of income are best spent paying down your debt. Paying just a few thousand dollars of principle will save you significant money in interest payments. Always try to get out of debt when windfall money comes your way. Keeping track of lots of credit cards and loan payments can be a serious drain. Arranging payments to several different companies on different days, remembering which card has the highest interest. Consolidating your debt using a lower interest loan is a great way to get out of debt. What’s more, it can even save you money. Debt consolidation loans will often have significantly lower interest rates than credit cards. By taking out a loan and using it to pay off your balances you can cut your total debt significantly. Make sure you can be disciplined before taking out a loan. The worst thing that can happen is to borrow money to pay off your credit cards just to run up a balance again. Saving for the future is very important but sometimes working to get out of debt is even more important. Cashing out stocks, bonds or some kinds of retirement savings can help you lower your debt. It’s important to understand the gravity of this decision. Many investments will require you to pay taxes on any proceeds. Some retirement savings actually have early withdrawal penalties that will cost you a chunk of their value. If you’re running out of options and really want to reduce your debt this is one way to do it. If you find yourself totally drained and confused about your options a credit counselor can be a big help. They can help you understand your situation and assist you in lowering your overall debt. Credit counselors will look over your financials and give you advice based on your income and total debt. They can help you set up a budget and perform other useful services. If you find yourself unable to pay your debt they can often set up a debt management plan for you. They will contact your creditors and arrange a reduced payment plan in exchange for your guarantee of payment. Credit counselors can be either free or fee-based depending on your situation. If your debt is truly overwhelming and you don’t have any options you can declare bankruptcy to get a fresh start. This should be considered a last-ditch option to get out of debt, as it has serious and long-lasting consequences. The U.S. government offers several options to private citizens seeking bankruptcy protection. Chapter 7 is the most common and least complicated. If you declare Chapter 7 bankruptcy the court will tally up your assets and debts then sell off nonexempt assets to pay your creditors a portion of what they are owed. You will be allowed to keep a portion of your home and car equity as well as tools of your trade. Remember that there are always options. No matter how much money you owe you can eventually get out of debt. If you would like to learn more about getting out of debt and managing your money, check out these helpful articles.